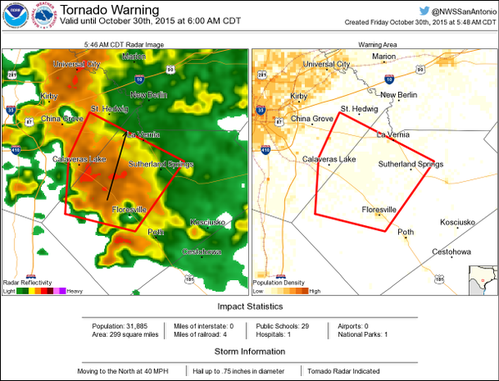 5:38 am - Could be two different circulations in the Wilson County storms to the south of Calaveras Lake and west of Floresville. 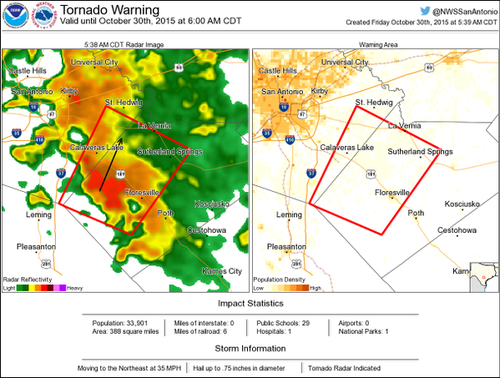 5:54 am - Circulation in Wilson County is tightening up again...East of Elmendorf and Northwest of Floresville. 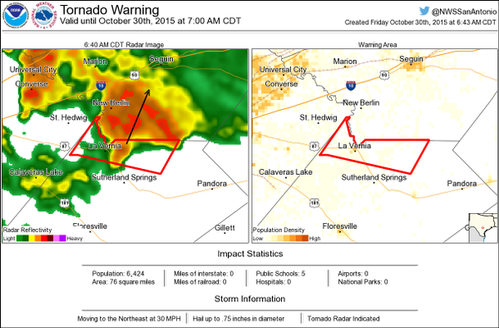 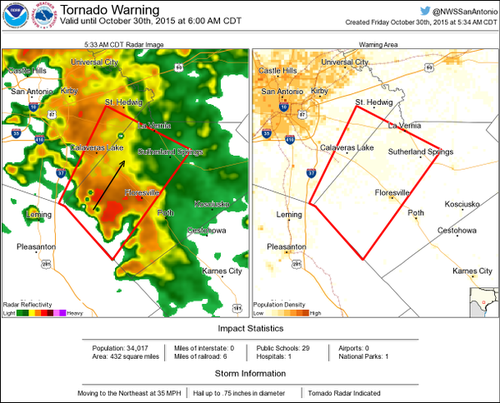 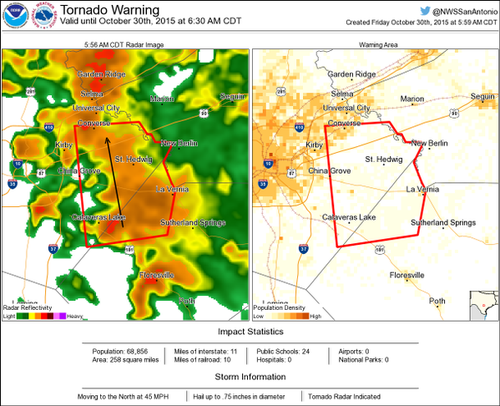 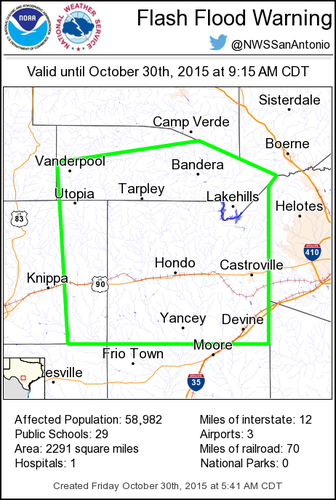 6 am - Circulation is now due east of Calaveras Lake about to move into Bexar County. 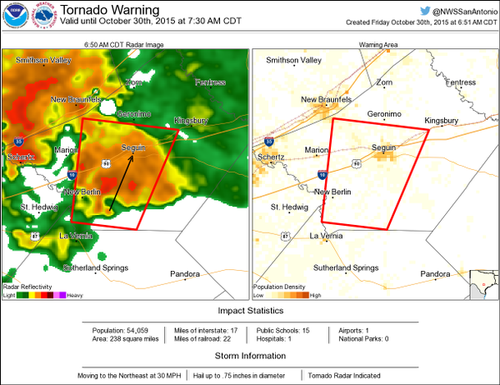 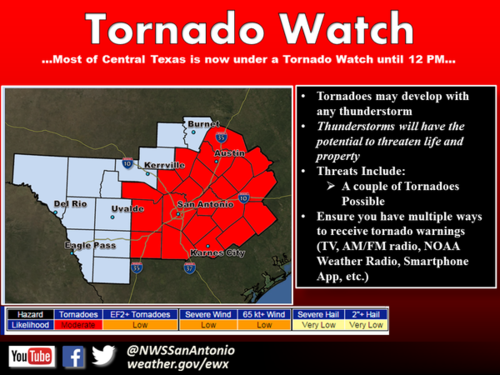 New Tornado Warning Issued. 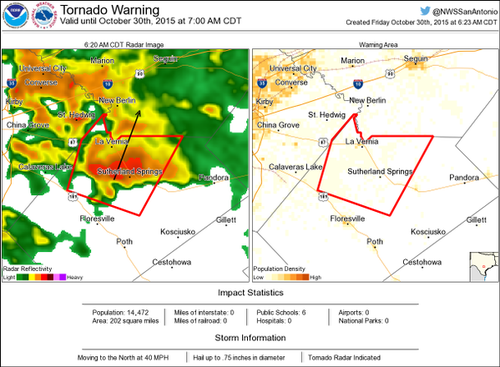 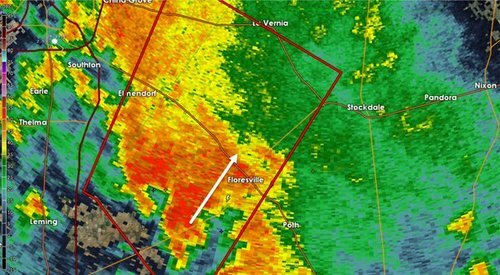 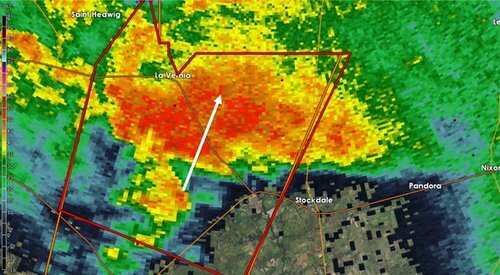 610AM: Radar indicating possible weak debris signature just north of #Floresville , TX. 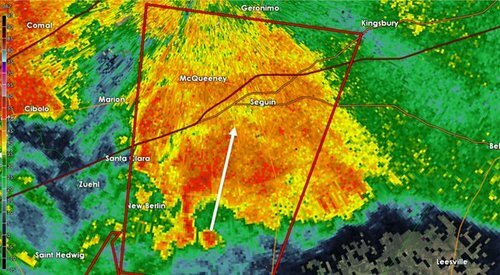 Anyone in town able to confirm any damage? 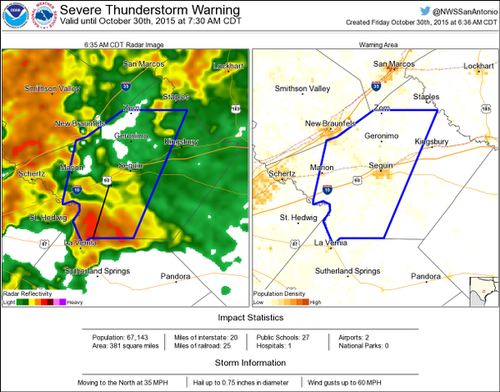 637 am: Severe storm over S Willacy County has strengthened. 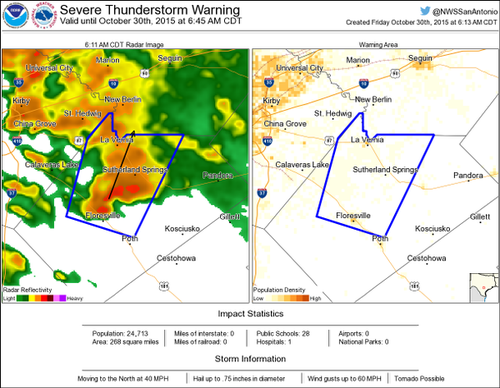 Wind gusts to 70 mph possible. 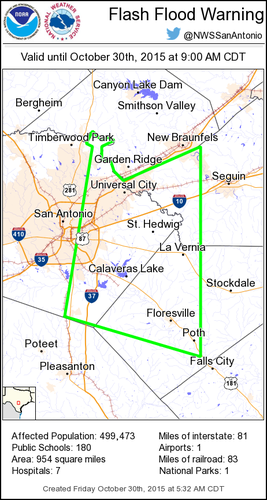 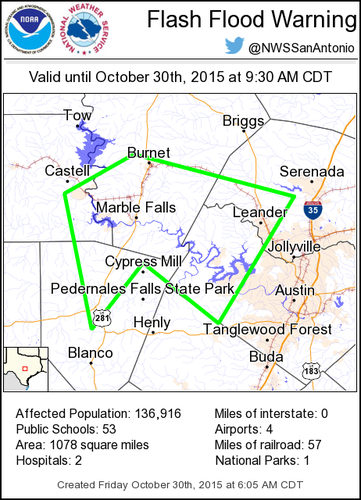 6:42 am - As you go out & about this morning be aware of the possibility of flooding. 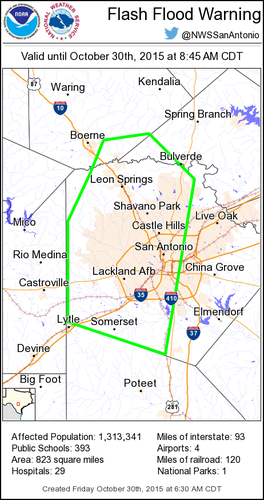 Give yourself extra time, and turn around don't drown! 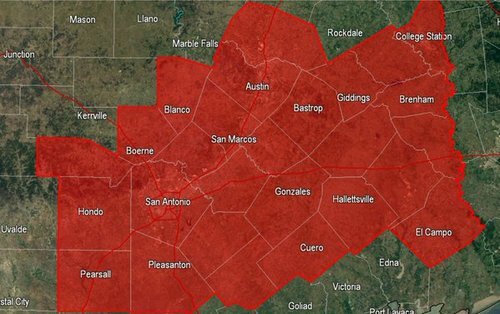 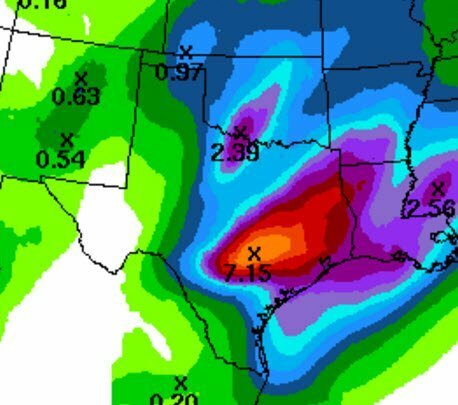 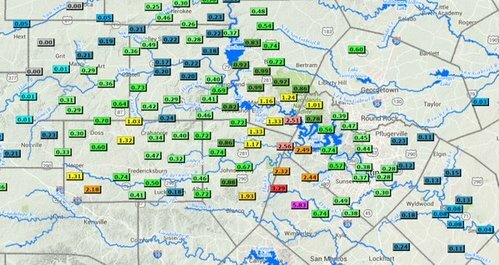 6:47 am - Check sanantonio.gov/Public-Works/E… for roads closed in San Antonio, atxfloods.com for roads closed in Austin.